The room was filled with the sound of reggae music and businesses connecting. Cocktail umbrellas adorned our drinks and leis were draped around our necks. Free to the public, the Sarasota Prime Time event packed in over 200 guests to enjoy their last bit of summer at The Chamber’s “End of the Summer Bash” on August 19 at the Sahib Shrine. The Sarasota Prime Time is an after-hours tradeshow exhibit, offering business exposure for participating members as well as networking opportunities for all attendees. 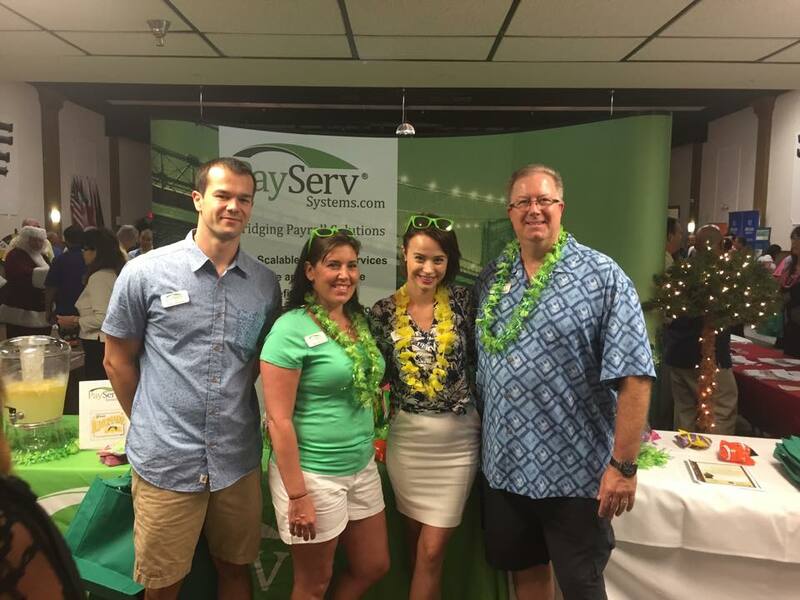 Presented by PayServ Systems, the event brought in nearly 40 member booths, many of them getting festive with the summer theme and offering raffle prizes and giveaways for lucky attendees. Some of our luckier guests of the evening walked away with a pair of tickets to see the Tampa Bay Rays or Tampa Bay Buccaneers. 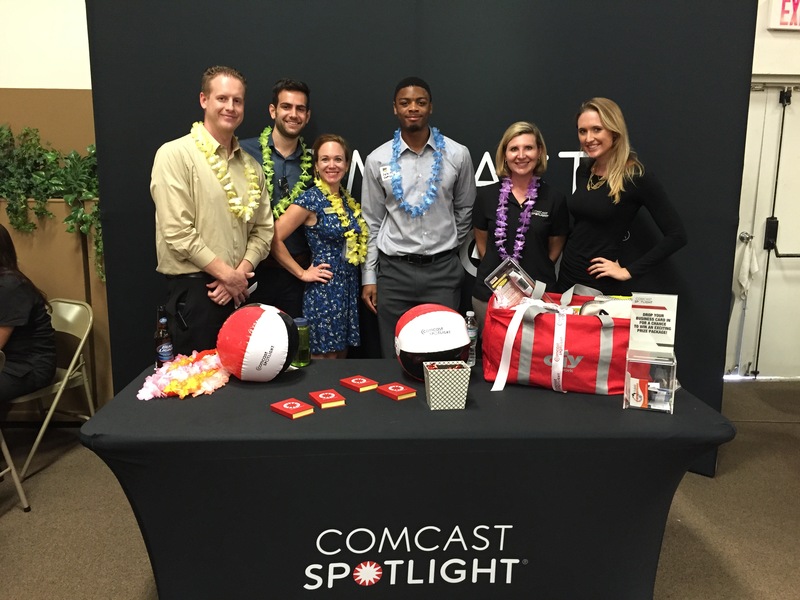 Special thanks to our corporate sponsor, Comcast Spotlight and our media sponsor, Biz941/Sarasota Magazine. Music and entertainment was provided by Party Pro DJs. Goodwill Manasota also joined the fun with their Good Wheels bike to raise awareness for Meals on Wheels, their program and the 2015 Giving Challenge. Stayed tuned for more photos from this fun event! Or click here to see some great photos captured by The Observer. Looking for more trade show fun? Join us at Chamber Expo 2015 for the largest business after-hours expo in the Sarasota-Manatee area. Co-hosted with the Manatee Chamber of Commerce, this event will be held on November 5 from 5 – 8 p.m. at the Bradenton Area Convention Center.